Bring the ferocity of the dragon into your collections and decor with the Black Dragon Guard Katana. 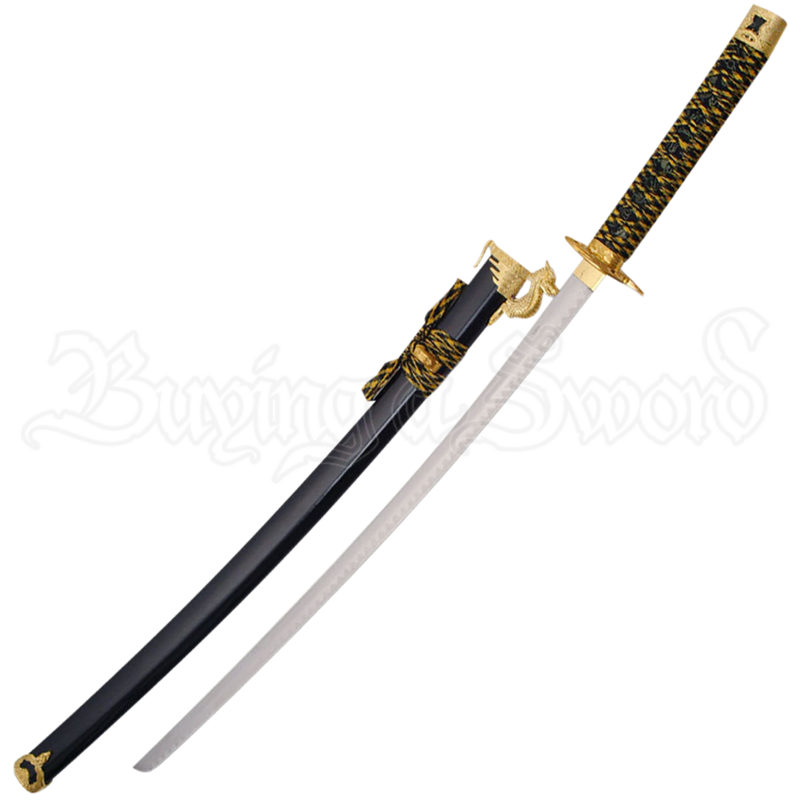 This highly detailed Japanese sword has a historical look made unique thanks to its dragon accents, all featuring a gold tone finish. 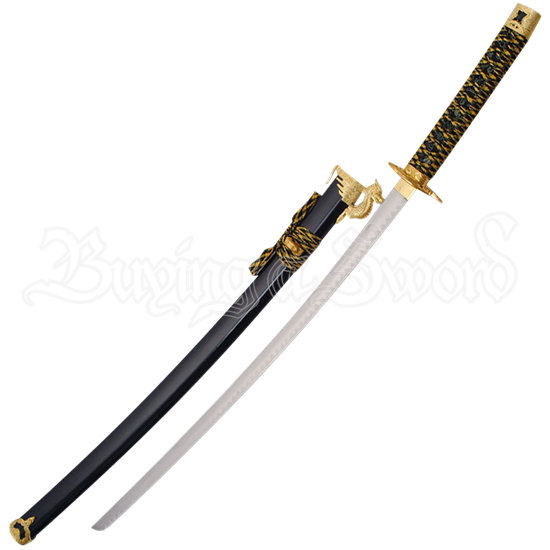 This samurai katana has a carbon steel blade in a traditional curved shape and with gold and black fabric wrapping around its handle, bordered by gold tone cast metal fittings. The tsuba, or guard, and pommel, or kashira, are highly ornate and detailed. The matching black scabbard, or saya, has a magnificent dragon head at its chape. This decorative katana is perfect for display, collecting, or for carrying as unique costume weapon.